“The next step is to follow the money,” said Eduardo “Eddo” Cortez Castillo. 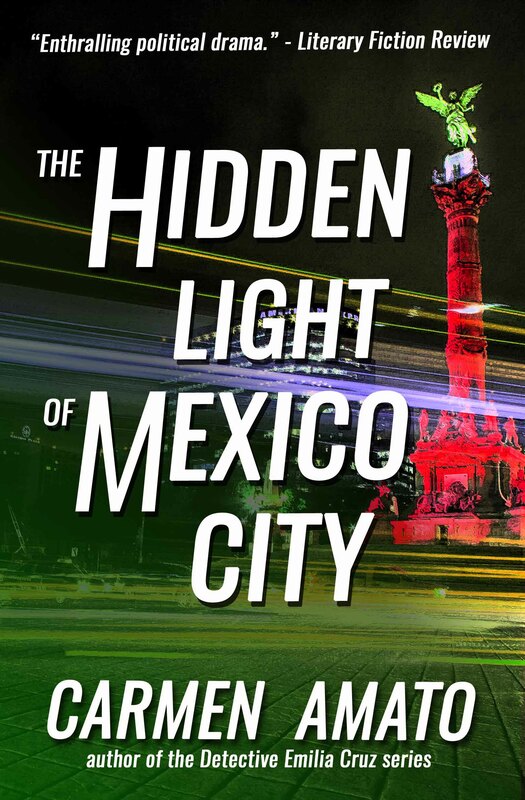 “That’s quite some story, Eduardo.” Across the table, César Bernal Paz gave his head a bemused shake as if collusion between Mexico’s Minister of Public Security and the elusive leader of the country’s most notorious drug cartel was a remote and amusing concept. “There’s enough evidence for a warrant.” Eddo felt his scalp prickle under the brown hair he kept as short as a general’s. “Really,” Bernal Paz said absently. He sliced into the arrachera steak on his plate and put a morsel into his mouth. Eddo reached inside his Brooks Brothers suit jacket, took out a folded document from the inner pocket, and placed it on the starched tablecloth between the two place settings. The two men were in a private corner of arguably the most exclusive restaurant in Mexico City. The Sanborn’s restaurant on the top of the historic Casa de Azulejos near the huge Zocalo square was the lunchtime bastion of Mexico’s power elite. The staff was unfailingly discreet, the atmosphere was dim and elegant, and more deals and careers were made and broken there than in the president’s office in Los Pinos. “The warrant is for the central bank to report all of Hugo’s financial transactions for the past year, including money transferred out of the country,” Eddo said quietly. “The warrant is signed by Judge Arturo Romero,” Eddo countered. The problem was that the warrant was Secret. Only a handful of people knew of its existence. Mexico’s legal system was so arcane that if Bernal Paz refused to comply there wasn’t anybody who had the knowledge and legal authority to compel him, including the president. “You know him. Not just for this.” Bernal Paz made it a statement, not a question. Eddo suppressed a grimace. Mexico’s First Lady Lorena Lopez de Betancourt had tried very hard to upstage her husband ever since Fernando Betancourt had been elected president. Her latest antic was to announce that she wanted to be president when her husband’s term expired. “You don’t think she’ll get the nomination?” Bernal Paz polished off his steak. The older man’s relief that they were no longer talking about the warrant was palpable. “Ministers of the government cannot be permitted to join the cartels.” Eddo kept his voice low, although the effort was nearly killing him. He wanted to jump up and shout, make Bernal Paz see how critical it was that they have the banking records, squeeze the old man by the throat until the numbers popped out of his ears. Bernal Paz frowned. “Listen to me, Eduardo. Hugo is a powerful man. If he finds out he’ll bring down the bank. “The bank is an institution,” Eddo pointed out. “It will survive. “Eduardito, that’s enough,” Bernal Paz scolded. The childhood nickname was a warning sign and Eddo knew it was time to give Bernal Paz some space. He sat back in his chair and signaled to the waitress. She deftly removed their plates and brought coffee. The words were thick with significance. Eddo didn’t reply but again let the silence draw out, watching the older man sit impassively across the table, reproof etched on his patrician features. Bernal Paz’s refusal to conduct the bank investigation had nothing to do with his fear for the central bank or even, really, of Hugo de la Madrid Acosta. No, it was Eddo’s insolence in growing up and attaining a position of power over not only his elders but his peers in Mexico’s highest social class, the criollos who could still claim a pure Spanish bloodline. Tradition meant preserving the social order and Eddo was threatening to upset it. What he was doing simply wasn’t done by one of their own. Bernal Paz frowned, the white eyebrows dipping toward his nose. Tension hung in the air, stretched by silence. “How do you know this?” Bernal Paz finally asked. To the old man’s credit he didn’t flinch. They both knew that if Eddo recommended it, his uncle Bernardo Cortez, Marca Cortez’s chairman, would move the company’s money elsewhere. Banco de Vieja Puebla would collapse and the Bernal family fortunes along with it. Eddo nodded once in acknowledgment. For the year they’d dated he’d managed to stay on the periphery of Elsa’s fame. She’d hated his reserve and avoidance of the limelight right up to the day they’d agreed to go their separate ways. Bernal Paz pushed out his chair and stood. The man was older, more frail than when he’d entered the restaurant two hours before. Eddo stood up, too, and at that moment their status and power were equal. The old man stalked out of the restaurant, acknowledging no one although he probably knew most of the patrons. Eddo sat down. A wave of nausea hit him and he had to lift his chin and gulp air to prevent the searing bile from coming up. The waitress brought a balloon glass and Eddo sipped the brandy, listening to the hum of unspoken deals and the slick murmur of political wheels being greased. The nausea passed, leaving his body churning with tension and residual adrenaline. The exchange with Bernal Paz had been a hell of a way to end the week, especially given his lack of sleep. He was dealing with the pressure of the investigation with his usual prescription of running and working out, but it was turning him into a chronic insomniac. At least tomorrow was Saturday, the day when he’d go to La Marquesa, the big area of scrubby parkland between Mexico City and Toluca. He’d played fútbol there every Saturday since his earliest police days. That’s when he’d run and run until he was nothing more than two feet and a pair of lungs, until he coughed blood and stank of sweat and forgot for an hour or two everything that he was and what he had to do and the people who’d get hurt along the way. Three votive candles burned in front of Our Lady of Guadalupe. There was no one else in the living room to see the tiny flames shiver in the draft as Luz de Maria Alba Mora shut the front door. In the cheap reproduction painting, prominently displayed in a wrought iron easel on top of a weathered wood cabinet, the Virgin wore a green robe decorated with stars just like when She’d appeared to San Juan Diego in 1531. The picture was draped with rosaries, silk flowers, and a black ribbon marking the day 13 years ago when Luz’s father and grandfather had been struck by a bus and the world had changed forever. “I’m home,” Luz called. She put down the backpack containing her sketchpad and the pay-as-you-go Amigo cell phone that was just for emergencies. “In here.” Luz’s mother’s voice filtered through the doorless archway to the kitchen. Luz peeled off the sweatshirt she wore over a tee shirt and jeans then found her mother behind the ironing board. More than a dozen crisp men’s dress shirts hung on a clothes rack wedged between the board and the scrubbed pine kitchen table. “They’re planning the oferta for the Day of the Dead,” Maria said. “Every woman there is going to have a different plan,” Luz said with a wry smile. Luz dug her pay envelope out of the front pocket of her jeans where it had been safe from the pickpockets that roam bus stations. She opened the jar kept on the counter for household money. Only a few pesos left this week. Working as a muchacha planta–a live-in housemaid–earned Luz time off every other weekend and Wednesday afternoons and paid 5000 pesos a month. It was good money but it was never quite enough. “I know,” Luz said. “But the weekends go by so fast.” Like so many women of mestizo heritage–the mix of conquering Spanish and defeated indio that made up the majority of café-skinned Mexicans–Luz wore her hair long and permed with bangs curved into a bubble over dark brown eyes. But the perm and the bangs had grown out and lately her head was just a mass of hairpins trying to keep everything in place. Luz put 300 pesos for a new perm in her jeans pocket, dropped the rest of the money in the jar, and opened the cupboard to find an aspirin. The four hour bus ride from Mexico City to the small town of Soledad de Doblado on the outskirts of Veracruz was a huge descent in elevation and she had the usual headache. Of course, everyone had headaches in October when the summer rains gave way to the dry season and sinus pressure fluctuated like crazy. She washed down the aspirin with water from the garrafon, the big bottled water dispenser on the counter, and looked at her mother. “I saw the candles,” she said leadingly. “I’ll keep ironing while you make the coffee,” Luz offered. The dry cleaner’s bag at her mother’s feet was still half full; she’d obviously gotten a late start on the 40 shirts she ironed daily for 2 pesos each. Luz took the finished shirt from her mother, hung it on the big rack, flipped a plastic shroud over it and stapled the dry cleaner’s coupon to the plastic. Puffing with exertion, Maria squeezed herself out of the corner between the rack and the ironing board. Luz swiveled her hips and slipped easily into the tight space. Rather than Maria’s soft stockiness, Luz had inherited her late father’s height and lithe build, along with his high cheekbones and wide mouth. She spread a new shirt over the board. “I’ll make coffee with milk the way you like it.” Maria filled the coffee maker’s glass carafe with water from the dispenser. Luz felt her headache lift as her mother bustled around the small kitchen, heating milk in a battered saucepan and finding the right glasses for café veracruzana. Obviously a celebration was at hand. Maybe Juan Pablo had won Student of the Quarter again. The coffeemaker gave a final gurgle as Luz finished her third shirt. She unplugged the iron and sat at the table across from her mother. Maria set a glass of coffee and hot milk in front of her and Luz sipped appreciatively. “Your sister is pregnant,” Maria said and put three heaping spoonfuls of sugar in her own glass. “You only have one sister,” Maria said. Along with Luz, Lupe had left school when their father died but had been too shy to work as a muchacha. She’d married young and been widowed a few years later. Still shy, she crocheted placemats and bowl covers for the tourists at the handicrafts mercado. Self-pity hit hard as Luz stared into her glass of café veracruzana. Lupe was pregnant and soon there would be another mouth to feed and Lupe had two beautiful children already and Luz would never have any. “He’ll be all right,” Maria said. “What do you mean, she won’t say?” Luz looked at her mother in irritated surprise. “Somebody has to provide for this baby, not just Lupe.” And me. “She won’t say,” Maria repeated. The front door creaked. There was a rush of childish chatter and then Lupe and her daughters came into the kitchen. The little girls squealed with delight to see Tía Luz and Luz’s heart gave another lurch of self pity as she hugged and kissed both of them. Martina and Sophia were 5- and 7-year-old miniatures of Lupe, short and solid and sweet tempered. They wore their school uniforms; navy jumpers and white blouses. After they climbed all over their aunt, Lupe made them go upstairs and change. They did as they were told without argument, leaving the three women alone in the kitchen. “Mama?” Lupe’s soft brown eyes flickered with nerves. Maria nodded and poured another glass of coffee and hot milk. “When are you due?” Luz asked. She went behind the ironing board again and attacked another shirt. “Won’t that be nice,” Maria said, watching Luz. And what will his name be? Mexicans took the names of both parents’ fathers. Luz’s own name was the combination of Alba, her paternal grandfather’s name, and Mora, the name of her mother’s father. The paternal name always came first and was always used, although some more progressive Mexicans were dropping the everyday use of the second name. Luz’s employer Señora Vega used both names, and added the name of her husband’s father as well, preceded by “de,” something usually only done by upper class people. “Who’s the father, Lupe?” Luz asked. “So you have a boyfriend?” Luz asked in surprise. “Why won’t you tell us, Lupe?” Luz pressed. “He should know first,” Lupe said. Luz stared at her sister. She hadn’t realized that Lupe wanted anything. Since her husband’s death Lupe had seemed content with her daughters and her needlework. And Luz had her own lost dreams to cry over. Lupe gazed back; untroubled, at peace. “I’m glad for you,” Luz managed. She bent again and hugged Lupe. “You’re the best sister in the world, Luz.” Lupe hugged back hard. “Hardly.” Luz closed her eyes and felt unutterably sad. The old joke broke the tension. Luz turned back to the ironing board. Lupe got out her crochet basket and lifted out a piece of half-finished lace. “If the new baby is a boy,” Luz said, determined to sound cheerful. “Juan Pablo can teach him how to play fútbol and chase girls.” She finished the shirt and handed it to Maria who slipped it into a plastic shroud and attached the coupon. The three women fell into the familiar comfort of each other’s company while they worked. They talked about Juan Pablo, on whom they all doted, and Luz described the latest happenings in her employer’s house. There was Marisol the cook to talk about, plus Hector the chauffeur, Raul the old gardener, and of course Rosa, the harebrained other maid with whom Luz shared an attic bedroom. Señor Vega and his latest girlfriend always provided good grist for the story mill, as did Señora Vega and the society events she attended and the unbelievable clothes she wore to them. Luz talked, too, about the three Vega children who all went to the bilingual Colegio Americano, the most expensive school in Mexico City. It was her twice-monthly unfolding of the drama of the Vega household, those people who lived in that other world. Luz usually made it sound like a telenovela, but this time she knew her voice was a little flat. Are you ready for the Mystery Ahead? Sign up for the Mystery Ahead monthly and get the ultimate Detective Emilia Cruz Starter Library.